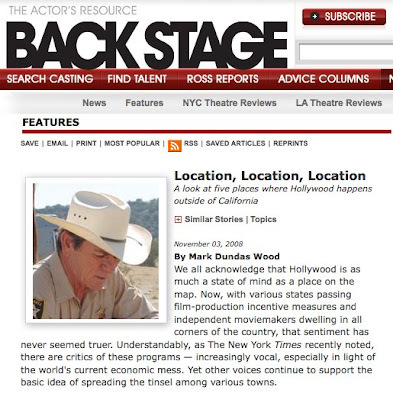 A look at five places where Hollywood happens outside of California. …”Lana Veenker has been casting in Portland for nine years. Before she arrived, Oregon had been doing moderately well in attracting projects (including the 1995 UPN television series ‘Nowhere Man‘). But as with Seattle, much of the work was being siphoned off by British Columbia.